These days don’t come around very often but Saturday 5th was a perfect day for two football clubs that I have worked with. I will take a look at Bath City’s fortunes, then Aberystwyth Town’s success in the Welsh Cup and how community football can bring different fans together. Bath City have had an up and down season to date from being as low as 18th in the league in October to getting to the dizzy heights of 4th in February. However only picking up 2 points in five games going into March saw them slip out of the play off places but then 3 straight wins kept them in touch of the play offs. This came at a price though with the other teams having lots of games in hand and Dover Athletic currently sit in 4th. 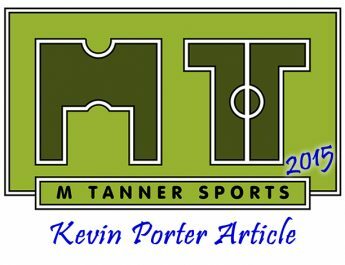 A 1-0 loss to Havent two weeks ago and a last minute equaliser for Sutton meant that play offs hopes have all but gone and they limped out of the Somerset Premier cup last Tuesday. This didn’t stop Bath putting on a great display against Eastbourne, in front of their 5th highest crowd of the season, at Mayday Trust Park. Despite going a goal down early on from Eastbourne’s first attack of the game Bath gradually played themselves into the game leaving Eastbourne using the long ball. Then on 34 minutes Josh Low, getting a rare start, crossed a great ball to the back sticks with David Pratt striking it cleanly but only for the keeper to parry it. Luckily for Bath Andy Watkins, who has found form recently, was ready to pounce on the rebound to level the score. In the second half Bath stepped it up a gear and soon took the lead with 57 minutes on the clock. Low and Pratt were involved again, with Pratt released down the flank and battled his way to the byline to pull the ball back to the penalty area for the arriving Noah Keats to calmly finish from about 8 yards. Despite a few tiring legs Bath managed to hold on for the win with Low even hitting the post to cap a decent showing from the former Cardiff City winger. So this win keeps City in with a slim mathematical chance of the play offs and they will be keen to stay unbeaten until the end of the season with Hayes and Yeading the visitors to Mayday Trust Park next weekend. Aberystwyth Town enjoyed an historic day for the club as they ran out 3-1 winners in the Welsh Cup Semi final on Saturday. This may not sound extraordinary to many people but this means Aber get a Europa League spot next season as they will meet the Welsh Champions TNS in the final, who have already booked themselves a slot in the Champions League; by winning the Welsh Premier League already this season. Aber’s opponents, Holywell Town, deserve a good mention too as they had a great cup run and even took the lead in the game. Holywell Town play their football in the 3rd tier of the Welsh system and knocked out Welsh Premier League top 6 side Newtown on the way to the semi finals. This appearance from the club has brought their side some much needed publicity and income which should see them set up well for next season. 890 people were there at Newtown, the neutral venue, to witness a thoroughly entertaining game and many more would have watched live at home as it was aired on S4C (the national Welsh language channel). Ten minutes in and Holywell were ahead and Aber left it late in the half to get back on level terms from a Geoff Kellaway cross to Craig Williams on 43 minutes. Then in the second half Aber started to come into the game more but Holywell still remained a threat and it looked like the game would head into extra time. Aber hit the woodwork, the side netting and even scored an off side goal so it looked like one of those days where just an odd goal would settle the score. However with 82 minutes played top goal scorer, from midfield, Chris Venables pounced on a slip from a defender to chip the ball into the back of the net; much to the delight of those who travelled from Aberystwyth. Then with just 2 minutes left with Holywell pushing forward Luke Sherbon, back at Aber after playing in Australia, found his team mate Kellaway who finished well from a neat turn to put the game beyond any doubt. So congratulations to all my old colleagues and friends back in Aberystwyth, I’m looking forward to booking my plane tickets in the summer. Finally there was a community football match for Bath City Supporters FC on Saturday morning. The team were due to play Preston North End IFA side in a 10.30am ko. The IFA stands for Internet Fans Association and is basically a governing body for fans football teams, with results and scorers recorded on their website. It isn’t a formal league though but a chance for like minded fans of all ages and abilities to wear their club’s colours and interact with other supporters before the game. This encourages fans from different teams to mix and socialise before the game, so you get to hear about each others clubs fortunes and misfortunes. However following a phone call on the Friday Preston only had 6 people willing to travel down in the end, as their first team were playing Bristol City (ending in a draw), so we told them not to waste a trip (and a very long and expensive day). So 15 lads assembled, and one ‘fan’, only to be told the game was off at 10am Saturday morning. This was disappointing but with a Bath City Home and Away strip from last season kindly loaned to us from the club we decided to play 8 vs 7 anyway on a full pitch. The ages and abilities of the fans were mixed but it turned out to be a great morning of football. There was the club PA announcer, who scored with two great chips, a sprinkling of Sunday League players, a few wise men and everyone else in between there. It finished 9-8 to the ‘home team’ but the ‘away team’ won on penalties, with a few clips bouncing round social media (even causing club legend Jim Rollo to take note). The spirit and enthusiasm shown that morning was what football is all about. It should be accessible to all, filled with pride of where you come from and most of all fun. If only the football pitches in this country were more affordable or better value for money then we’d see more people playing and enjoying the game, but that’s for another article. Hope you enjoyed reading and as always feel free to comment. 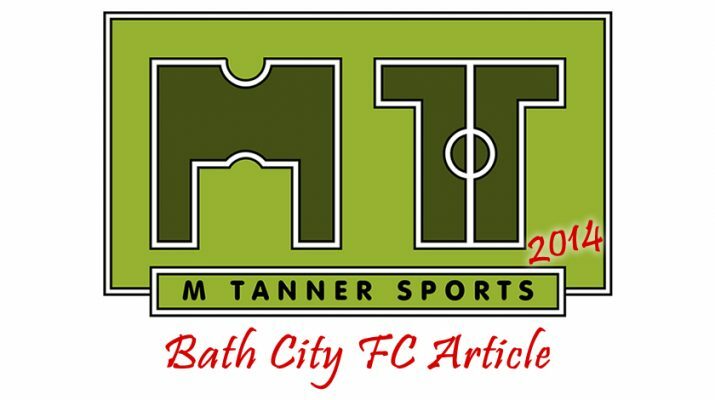 Bath City FC – main club website with match reports and ticket information. Any parents wanting to take their children then be sure to go to the ticket office before the game and purchase a family ticket for just £18 for two adults and two children. 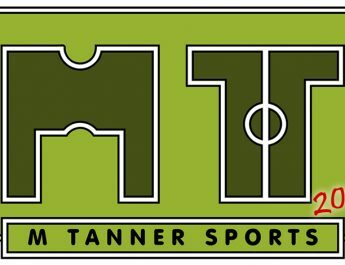 Aberystwyth Town FC – main club website with a full match report and fixture list to what promises to be an exciting end to the season.